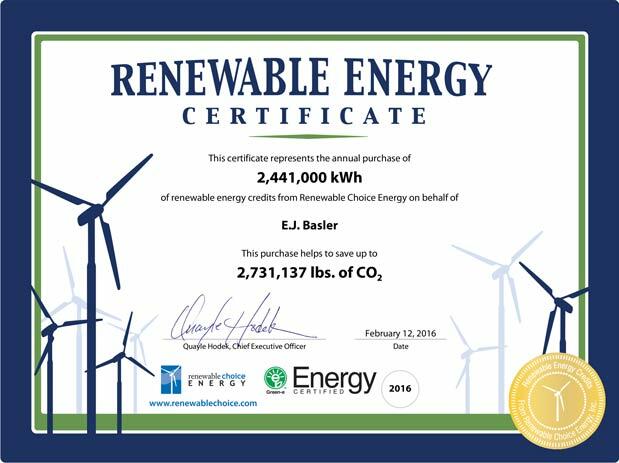 For the past three years E. J. Basler has been committed to buying renewable energy credits for every kilo watt hour that we consume. 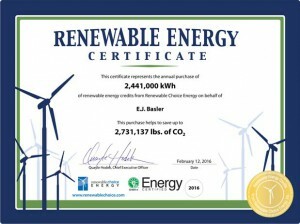 This effort has help save up to 8,224,086 lbs. of Co2 or the below equivalencies per the EPA.